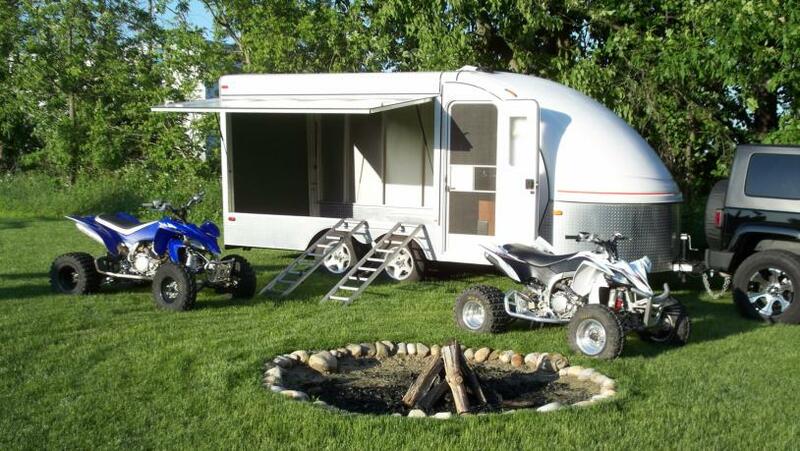 Toy Hauler Trailers Are Now at a New Level. 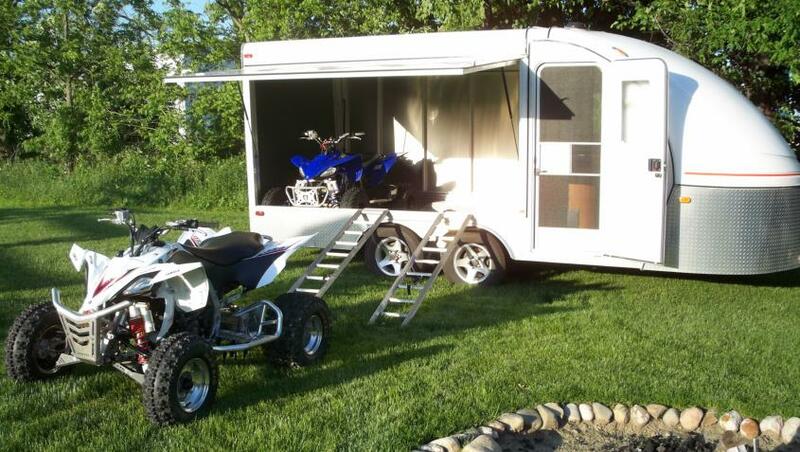 Our Toy Hauler is designed for the individual or organization that wants to have every necessity right at their fingertips. Everything in the All American Toy-Bike Hauler Trailers is fashioned to you, the individual. 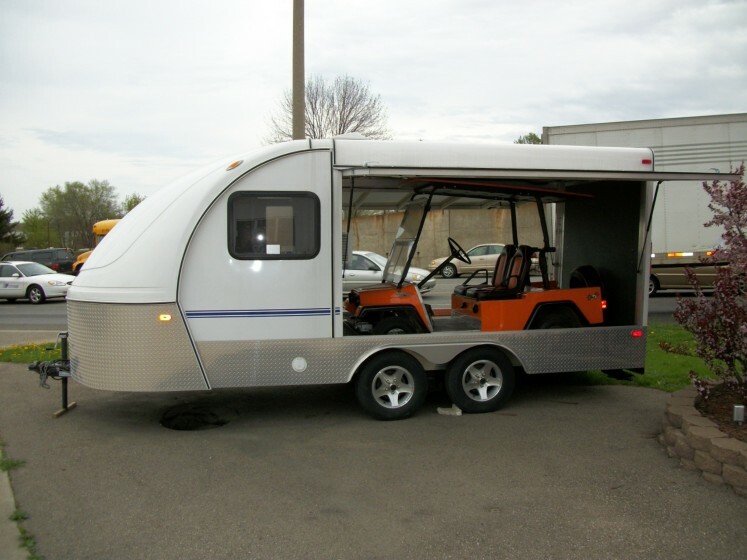 Come Take a Tour of Our Toy Haulers! 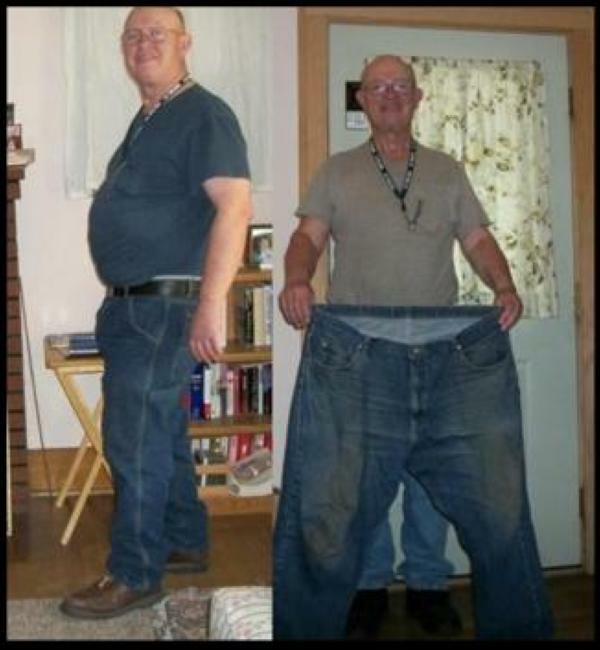 NOTE: You can CLICK on the above pictures to enlarge them. 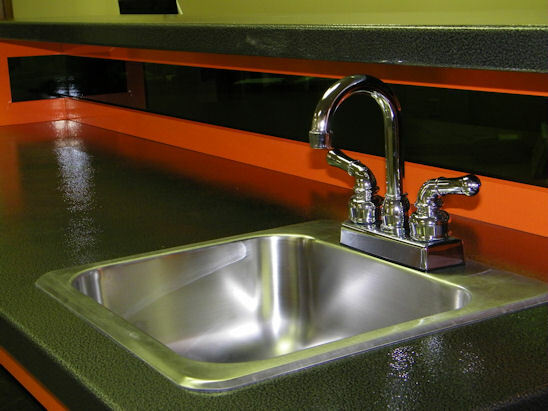 Each trailer interior is 100% hand crafted to suit your every need. Our goal is to make every event you bring your All American Toy-Bike Hauler to fast, easy, convenient, and most of all....memorable. Once you get to where you need to be, you can be having fun and/or entertaining within minutes. Simply position The Trailer where you want, get out your grill, and you are ready to go. 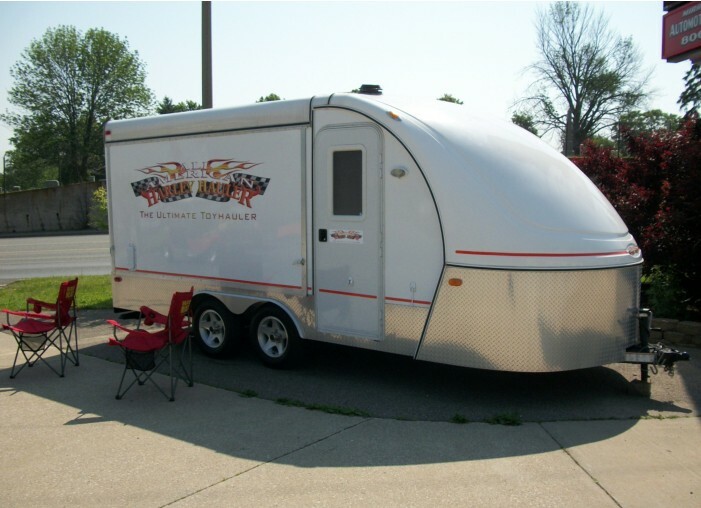 Only our FULL SIZE All American Tailgater Trailers come with an optional full bar area which include a keg refrigerator, food refrigerator/freezer, microwave, sink, ample storage space for food and liquor, surround sound stereo system, 5 disc DVD/CD player, TV, and satellite so you can watch any event you wish. You can also get a bathroom, micro quiet ONAN generator, individual mixed drink containers, grill storage, and table storage. 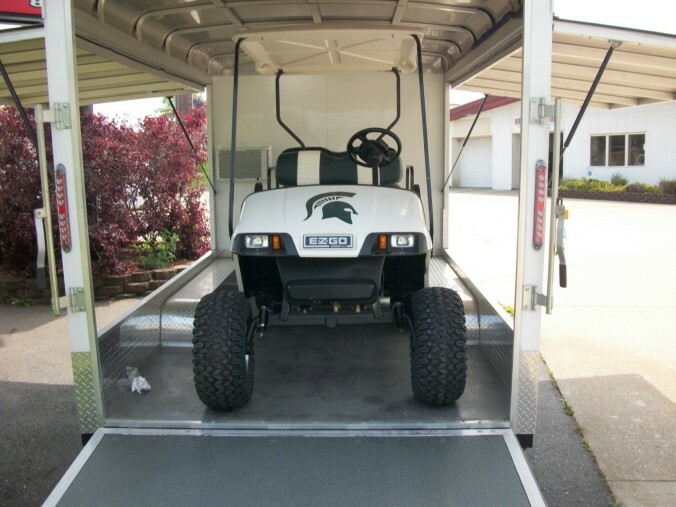 We can also customize the exterior with any logo or graphics package you would want. 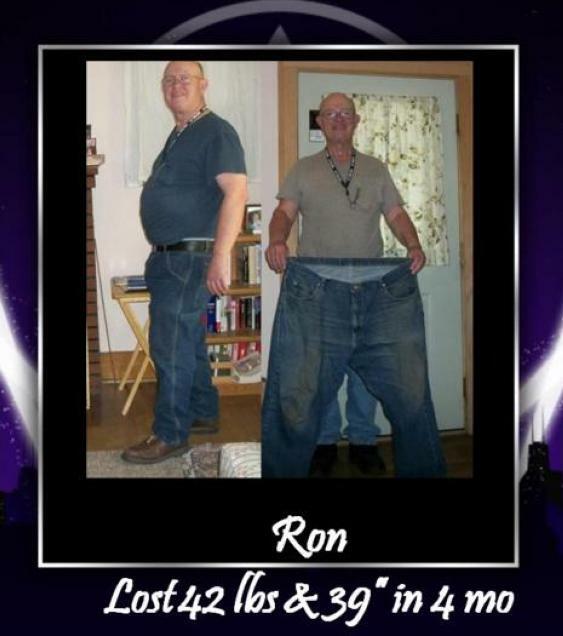 Be sure to mention to Ron that you got the number from this website and want the "Special Website Promotion." I promise to use it only to send you bar-decor Bubbly News.